Romney says in the above VIDEO that Ryan combines a profound sense of responsibility of what we owe the next generation with an unbound optimism in America’s future. Romney said they would offer a positive governing agenda that will lead to economic growth, to wide spread and shared prosperity, and will improve the lives of our fellow Americans. Romney would later say that under a Romney-Ryan Administration, they would strengthen the middle class, cut the deficit, have trade that works for America and champion small business and we would unleash our energy resources to achieve North American energy independence. Obama is only concerned with his next 4 years, than he is the next generation!!! Mr. Romney announced his selection against a backdrop of the battleship U.S.S. Wisconsin shortly after 9 a.m., ending a four-month search for a running mate. The news opens a weekend tour through critical battleground states, with Mr. Romney and Mr. Ryan poised to travel together to kick off the debut of their new partnership. During Paul Ryan’s speech he made many tough and honest comments regarding the American decline under President Barack Obama and Democrats.In a reflective and inspiring manner, Paul Ryan invigorated the crowd with the following comments. 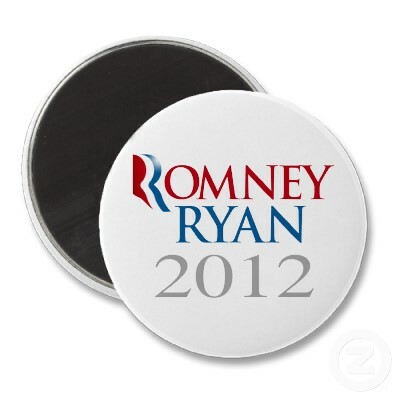 Ryan offered to the American people that ROMNEY/RYAN will offer leadership and that they will not duck the tough issues. Ryan stated, we offer equal opportunity to the American people, not equal outcome. The full Paul Ryan speech can be read HERE. Imagine that America, a President and VP that would lead, rather than bow and follow? Imagine a President and VP that would work hard and take responsibility for the hard work in front of them rather than blame others for the hand they were dealt? Imagine a President and VP that would embrace American exceptional and comprehend that Our rights are endowed by Our Creator, not government. America cannot afford another four years of Obama/Biden now or in the future. They had their chance and they passed every item on their agenda and it still did not work. Paul Ryan is a fantastic choice for VP and he will show in the up coming days, to the GOP Convention and to the 2012 election just why. It has been long thought that Paul Ryan was the future of the Republican party; however, the future appears to be now. UPDATE I: The Gateway Pundit has many more excerpts from Ryan’s speech that really fired up the base. We can turn this thing around. Real solutions can be delivered. But, it will take leadership. And the courage to tell you the truth.Mitt Romney is this kind of leader. 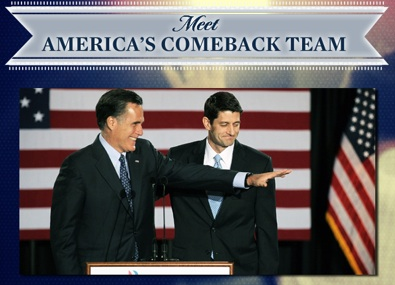 I’m excited for what lies ahead and I’m thrilled to be a part of America’s Comeback Team. And together, we will unite America and get this done. Thank you. Paul Ryan’s Speech at Norfolk, VA Accepting to be Mitt Romney’s Vice President … Obama, a Record of Failure … Obama Has Refused to make diffuclt Decisions Because more Worried about their Next Election Than They are About the Next Generation!